Imagine #4: Family. Hayes Family. "&apos;Cause I see sparks fly whenever you smile. Get me with those blue eyes, baby, when the lights go down. Give me something that&apos;ll me when you&apos;re not around. &apos;Cause I see sparks fly whenever you--"
The lights go out. You, the band and the crowd are standing in pitch black darkness. There&apos;s one problem here. You&apos;re afraid of the dark. No one knows that except Hunter, but he&apos;s nowhere to be seen. You here a piano being played and you know who it is. The spotlight is turned on and it shines down on you. Obviously, this was to make you the center of attention. The spotlight then moves away from you and climbs up the stairs to reveal the piano player. It&apos;s the boy you&apos;re in love with. The lights begin to flicker on and off back to normal. Hunter&apos;s playing "Wanted" and you&apos;re crying because it&apos;s amazing to hear everyone sing his music. Millions of boys and girls were singing his music. At some point during the song, you&apos;re lifted off your feet by two guys. You know who they are based off their laughs. Sam Ellis and Steve Sinatra. People are cheering since the boys are now carrying you, "Nashville, are you ready for a few more special guests?" The crowd goes while and Hunter stops playing the piano. You suddenly then see a ginger. A ginger that you knew too well. He was not only one of your many favorite artists but he was also your best friend, "But these three words I have to say to you, my baby blue. You know it&apos;s true, I love you." Ed soon stops singing and the five boys join the stage. After going through the Harace drama, the six of you had become friends. It was a forgive and forget kind of thing. Many of the girls knew who these five boys were, "I won&apos;t let these little things slip out of my mouth, but if it&apos;s true, it&apos;s you, it&apos;s you they add up to. I&apos;m in love with you and all your little things." "One Direction is welcomed in Nashville," Hunter says and he&apos;s smiling, "Nashville can even welcome Easton Corbin." "Love don&apos;t have to be a bunch of drama. A bunch of knock down, drag-outs cryin&apos; in the rain. It&apos;s alright to keep it light now mama, don&apos;t you think. We&apos;re having such a good time together, it&apos;s only just begun. 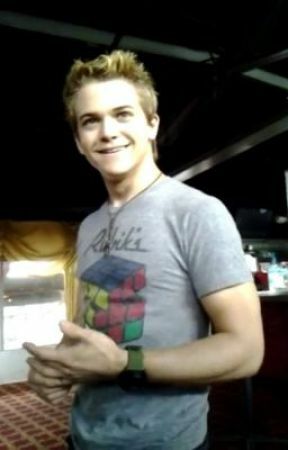 My heart&apos;s never smiled so hard, baby, loving you is fun," What was Hunter planning? These were some of your favorite songs. Songs that only he knew that you loved to listen to. Ed played "Lego House" and "Little Bird." One Direction played "Through the Dark," "Better than Words," "Happily," and "Why Don&apos;t We Go There." Easton had to leave as soon as he sang his song because he was supposed to be in Australia in a few days. Danielle Bradbery joined the crew by singing "Young in America" and "Yellin&apos; From the Rooftop." Hunter then ended by finishing his song "Wanted." It was quite an amazing feelings to here all of these songs that only Hunter knew about. They were like guilty pleasures, "Nashville, do you guys wanna do me a huge favor?" The crowd screams yes. Sam and Steve have put you down on your feet and rushed over to the side stage to get something, "Everyone, pull your phones out or anything bright that you have." Hunter begins his guitar strumming. You knew this song. This song was the one he used to ask you out. The song that helped him to ask you to become his girlfriend, "I&apos;ve been searching for something true and my heart says it must be you. I&apos;d love to fall and see it through but only if you told me to." He continued to play the song and the ended had a different twisted. He played a mashup like the one from his live stream video with Trips and Picks. The ending was completely different though. It was the last thing that you expected. Sam Ellis had placed a flower crown on your heard and one on Hunter&apos;s too. What was going on? "Grace, we&apos;ve been through everything. From being with each other those late nights watching horror films or spending time together in the studio, we&apos;ve done everything except one thing. We haven&apos;t got on one ride and I think we&apos;re ready for it. I love you with all my heart. You&apos;re my song. I want everyone to hear you and I want the world to know how much I love you," he says and he takes something out of his pocket. It&apos;s a blue velvet box. He opens it and inside of it is a diamond ring, "Will you marry me?" Marriage! He&apos;s asking you to marry him in front of Nashville! You can&apos;t help but throw yourself in his arms and scream yes millions of times. He quickly slips the ring onto your finger and passionately kisses you. This was the kiss that would mark a new beginning. This kiss was a like a prologue to the life that the two of you would soon share together. Ed takes the microphone from Hunter and speaks to the crowd who&apos;s cheering with excitement, "Ladies and gentlemen, put your hands together for the crazy lovebirds!" You laugh at Ed&apos;s thick British voice and take the microphone from him, "Nashville, wow. Just wow. You never cease to amaze me. You&apos;ve given me more than everything I have every wanted. I have the most amazing fans ever. I have the most amazing family and friends, but most of all . . . I have the most amazing home!" "Sparks Fly" is continuing to play in the background, "Nashville, thank you. Thank you. Thank you. You just, wow. Oh my goodness, wow!" Ed Sheeran, Niall Horan, and Sam Ellis pick you up meanwhile Harry Styles, Steve Sinatra, and Liam Payne pick up Hunter, "Let&apos;s hear it for Grace and Hunter!" Louis Tomlinson exclaims in the microphone. You&apos;re in shock. It feels like a dream. Is it a dream? No, it&apos;s something so much better. It&apos;s reality. It&apos;s reality and it&apos;s finally better that your dreams, "Thank you, Nashville!" You exclaim for the last time before being hauled away to backstage. Tonight would be unforgettable. The kiss that you and Hunter shared would be unforgettable. Nashville would be unforgettable.